Jurgen Klopp may have exited the FA Cup at the first time of asking, but his lookalike will have the chance to claim his hands on some silverware. 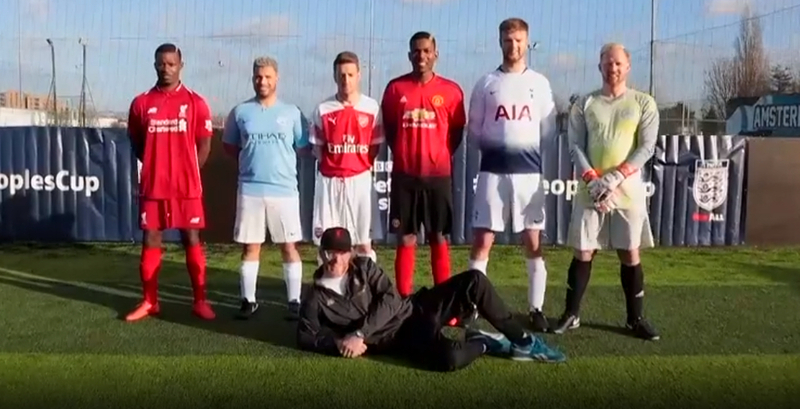 A team made up of Kasper Schmeichel, Eric Dier, Paul Pogba, Mesut Ozil, Sadio Mane and Sergio Aguero will all compete in the free-for-all competition for the public - seems unfair, doesn’t it? That’s until you see that the six-man side is made up entirely of doppelgangers and are in fact regular members of the public. Klopp’s double is from Edinburgh, while the rest of the side also do work as lookalikes. In a bizarre story, all of the lookalikes have come together to try and win the FA People’s Cup, which has now been running for a number of years. Winners of both the regional rounds then progress to play at St. George’s Park, where the overall winners of each of the 15 categories are ultimately decided. The winners of the People’s Cup are then invited to Wembley Stadium to watch the FA Cup final, which last year saw Chelsea defeat Manchester United 1-0 thanks to Eden Hazard’s penalty. Watch below to meet the side hoping to become the People’s Cup champions for 2019.